Noted liturgical scholar, composer, and Concordia Seminary Professor Emeritus James Brauer has brought together his decades-long research into Luther’s use of contemporary tunes and melodies in his prolific composition of hymns and sacred songs for the growing Reformation movement in 16th-century Germany. Professor Brauer’s research has grown to the point that it is too large for an article, but not large enough for a print book. Yet, the research is too good not to share. Thus, we provide it to you here as an ebook, viewable online or on any mobile device. You can read it in the window above, or download it as a PDF at the link below. As we look ahead to the 500th anniversary of the Reformation in 2017, Brauer’s work is an invaluable study into how Martin Luther lived out a vibrant gift for music and the arts. 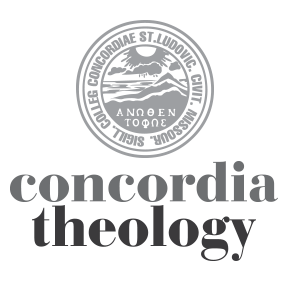 Many thanks to Dr. Brauer and Concordia Theology for sharing this study of Luther’s melodies!